Vivo’s new campaign inspires everyone to seize the moment on the world’s biggest stage – the 2018 FIFA World Cup Russia. Vivo, the official smartphone sponsor of the 2018 FIFA World Cup Russia, has launched a new global campaign titled “My Time, My FIFA World Cup”, at Beijing’s Olympic Forest Park. The campaign comprises of advertising spots, and special music and photography-led marketing activations. These include the Vivo Super Fan Photographer programme, providing fans with unprecedented pitch-side, stadium and warm up session access, as well as the Vivo Super Time project, which will elevate the fan experience during the FIFA World Cup finals performance segment. “’Camera & Music’ are not only a part of Vivo’s DNA, but also the two key ways by which people can fully experience, capture and share extraordinary moments around them through their smartphones. 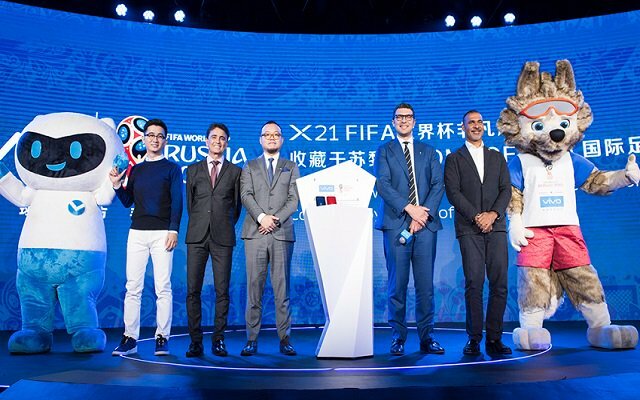 For this year’s FIFA World Cup, Vivo will leverage these two elements and our innovative technologies to help fans bring to life “My Time, My FIFA World Cup”. “The goal celebration dance for my newborn son at the 1994 World Cup was my most extraordinary moment. I look forward to Vivo Super Fans capturing and sharing the extraordinary moments of this World Cup with the world”. “Besides helping to make the World Cup extraordinary for fans in creative ways, Vivo brings to life the spirit of youth, like FIFA’s burning passion. Now that the 2018 World Cup is coming, we look forward to creating more unforgettable memories for people all over the world together”.